March 2016 – That is when I received a positive diagnosis with ALS (Lou Gehrig Disease). I have looked back and realize it probably started last fall (2015) due to my balance was really getting bad. When doing a workout, I could no longer do some of the exercises that had previously been fairly simple. Yoga moves that had been fun, became impossible. I ignored that and chalked it up to being lazy and not exercising as regularly as I had been. In February I made a trip back to Iowa to participate in a baby shower for one daughter and go bridal dress shopping with another. I had always been a fast paced walker but could not keep up with their pace, and verified this when I got back to the airport and struggled to walk/limp across the airport to the parking facility to get my car. I knew I was not just out of shape. I first went to an M.D. in Germantown, MD, he ran tests and recommended a neurologist. I then went to a chiropractor, thinking it was just a pinched nerve or back alignment issue. They ran more x-rays and tests. They were able to get me into Dr. Taragin, Neurology Center in Rockville, MD, after 2 visits within a week’s time, he diagnosed and sent me to Dr. Bayat, at George Washington University Hospital to second/confirm diagnosis. So after much blood work, multiple MRI’s, x-ray’s, etc. the medical team I had was not to be argued with, but we tried to convince them it was anything else. I came back home to fight this with the support of family members: 5 children, 6 grandchildren, 5 siblings and my parents, as well as numerous extended family members. I am lucky to have them, but it’s not enough. We need your help to raise funds and find a cure for this horrible disease. So far the ALS has slowed my walk down, I've developed a limp, my balance is off and I'm more tired than I usually am. Doctors have told me I do not have rapid ALS, which is great news. So that leaves me in either slow progressive 10-15% (7-10 years) or moderate progressive 70% (3-4 years). Patients are typically told 2-5 years. This isn't ideal to hear, but it's not stopping me from holding my grandbabies, hanging out with my siblings or visiting my children and parents. May is ALS awareness month. Our goal is to inform people about ALS and what this disease does. We want to raise money to help find a cure so other families don't have to fear the ALS diagnoses like we do. There is currently no cure for ALS, but if we all pitch in, we can help raise enough money to get the ALS movement rolling and hopefully find a cure! ALS stands for amyotrophic lateral sclerosis. It is a progressive neurodegenerative disease that affects nerve cells in the brain and the spinal cord. Basically it means my muscles are not getting the nourishment they need so they are wasting away and scarring/hardening. My motor neurons that reach from my brain to my spinal cord and from my spinal cord to my muscles are dying. When my motor neurons die, my brain is unable to initiate and I lose control of my muscle movement. I may lose the ability to speak, eat, move and breathe. There are two different types of ALS, sporadic and familial. Sporadic ALS consists of 90-95% of cases and Familial ALS (FALS) is the other 5-10%. Familial ALS means the disease is inherited. In those families, there is a 50% chance each of their children will inherit the gene mutation and may develop ALS. I have sporadic, thankfully. On behalf of myself, my children, siblings, parents and other family, I'd like to thank you for taking the time to read about my story. As mentioned, I want to help inform others about this terrible disease and try to raise awareness so we can get the funds needed for research to help find a cure. You can help us support ALS.net by making a donation. If you can't make a donation at this point, help us reach our goal by sharing this page on Facebook and Twitter! Or, even better, send an email to friends you think might be interested in contributing and include a link to our page! Thanks so much for your generosity! We truly appreciate it. Mom would've been 58 today. It's an odd feeling for us all to not be able to call her and wish her a happy birthday. But we can celebrate her birthday still, and we'd like you to join us! The weather in Iowa is going to be great today. We encourage you to go for a walk, ride your bike, play with your grandkids in the yard, read your child a bedtime story, sing on your drive to work, drink a beer and tomato juice or a hot fudge malt and think of Cheryl. These are all things she loved and we know she'd be ecstatic knowing you enjoyed them as well. A friendly reminder that the registration for Momma K's 5k/10k has been extended until Friday, May 11 for a guarantee that you'll get an awesome t-shirt. You can still register the day of the race (June 9) but a t-shirt won't be guaranteed. We hope to see you there as we walk/run the Cinder Path trail together. Cheryl enjoyed many different types of physical activity including biking, running, walking, yoga and completing exercise programs. She even ran a 5K in 2013, just three years before she was diagnosed with Amyotrophic Lateral Sclerosis (ALS), also known as Lou Gehrig’s disease. Cheryl didn’t stop exercising after her ALS diagnosis, though. She continued to do yoga, go for walks and even put more than 3,200 miles on her recumbent bike. To say she never gave up would be an understatement. 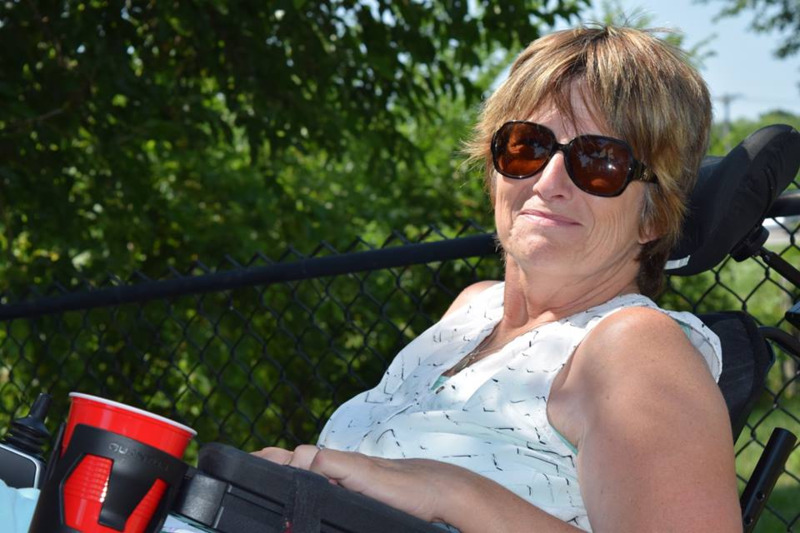 Unfortunately, Cheryl lost her battle with ALS on October 22, 2017, just 17 months after her diagnosis. Join us on Saturday, June 9, in remembering Cheryl by walking or running in this 5K or 10K. 100% of your registration fee goes to the ALS Association, Iowa Chapter in honor of Cheryl. Cheryl dedicated a large portion of her life to childcare, so bring your families and kids, the more, the merrier! For more information, visit our Facebook page, Momma K's 5k/10k. 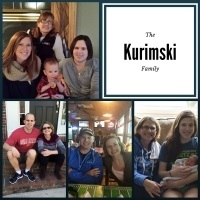 On May 22 the Kurimski family is pledging 1 hour of not talking in honor of ALS and we challenge you to as well! ALS takes the ability to talk away from people. By taking a vow of silence, we are honoring those who are unable to speak due to this terrible disease. We are hoping to raise money to help silence this disease once and for all. So pledge 1 hour (or more!) of your day with the Kurimski family in silence.